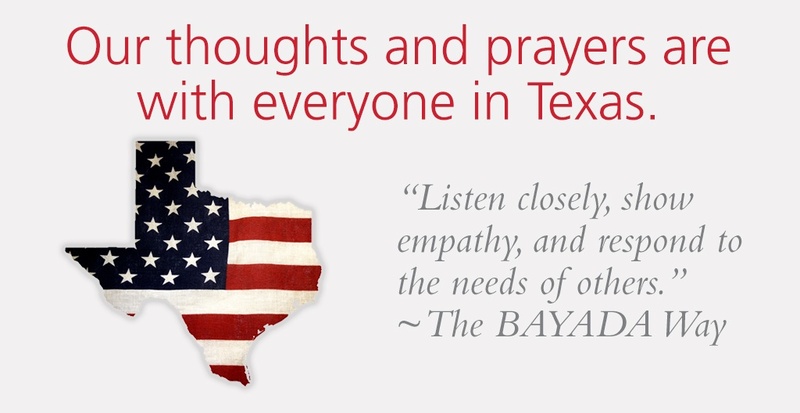 We launched BAYADA Cares for Texas this month, and in just 10 days, 686 BAYADA employees donated $32,581 to benefit the American Red Cross to help those impacted from the devastating storm. 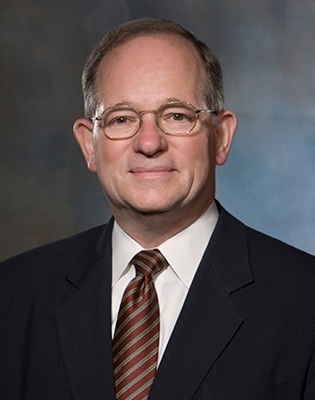 In the January 2016 issue of Integrated Healthcare Executive, BAYADA President Mark Baiada discusses how fostering a values-driven culture—such as The BAYADA Way– can benefit an organization. Mark discussed how documenting and consistently communicating a company’s values throughout an organization brings people together under a common purpose. 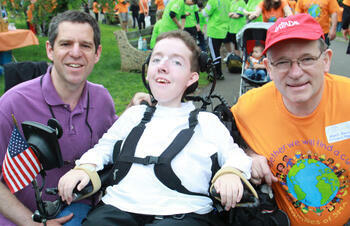 He emphasized how livingThe BAYADA Way in our day-to-day work has benefited both BAYADA and our clients. 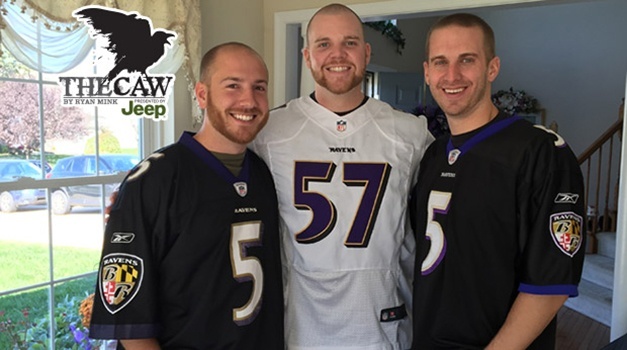 Shawn Winner is a fitness specialist with BAYADA Senior Living Solutions in Maryland. Although he is used to working with seniors to help them overcome barriers in their lives, it's what he did off the job that brought him national attention. On December 8, volunteers from BAYADA Massachusetts service offices prepared and served a hot, nutritious lunch for a group of senior citizens. 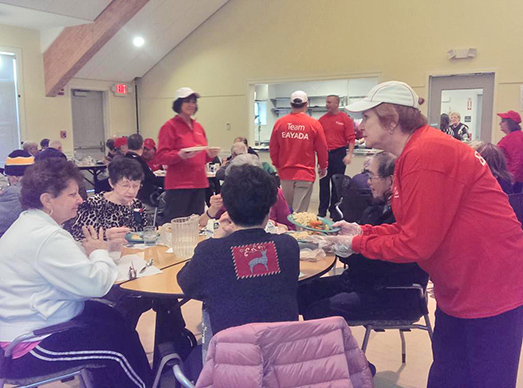 Through a partnership with EcoMediaCBS and the Meals on Wheels Association of America, BAYADA is supporting the Massachusetts Emergency Relief Program to ensure seniors have access to nutritious, shelf-stable meals in the event of inclement weather or natural disasters. BAYADA provided financial assistance to six Meals on Wheels Association member organizations in the Commonwealth which will support emergency relief and meal distribution programs. This funding will provide nearly 8,500 meals to more than 2,000 seniors. BAYADA Home Health Care today announced that it has been named a Top Agency of the 2013 HomeCare Elite™, a recognition of the top-performing home health agencies in the United States. Now in its eighth year, the HomeCare Elite identifies the top 25 percent of Medicare-certified agencies and highlights the top 100 and top 500 agencies overall. Winners are ranked by an analysis of publicly available performance measures in quality outcomes, best practice (process measure) implementation, patient experience (Home Health CAHPS®), quality improvement and consistency, and financial performance. In order to be considered, an agency must be Medicare-certified and have data for at least one outcome in Home Health Compare. Out of 9,969 agencies considered, 2,496 are elite. 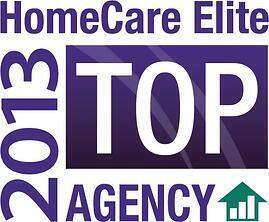 The entire list of 2013 HomeCare Elite agencies can be downloaded by visiting the National Research Corporation website. 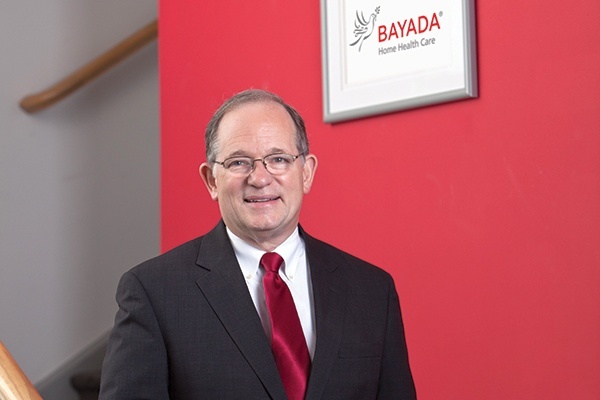 Bayada Nurses, a leading provider of home health care services to people of all ages, changed to BAYADA Home Health Care on January 17—the company’s 37th anniversary. The name has changed to more clearly communicate The BAYADA Way, the company’s guiding philosophy, its broader specialty practices of Home Health, Adult Nursing, Assistive Care, Pediatrics, Hospice, Habilitation, and Staffing, and its multidisciplinary team of home health care professionals.